Have you ever wondered why God desires for his people to sing? What role should singing play in the life of a Christian? What is it about worshiping through song that is so important to God? You may not know it, but God has already answered these questions in the Bible. The seven reasons below answer these questions and unpack more important truth about singing in the life of an individual Christian and the church. 1. When you sing, you obey. God’s people are more than just invited to sing; we are commanded to sing. When we sing, we’re doing what God asks of us! 2. When you sing, you dig deep roots in the Word. The Apostle Paul lays out this exhortation to let God’s Word dwell in us richly, and then, he tells us how to live out that command. The first, of course, is teaching. But the second, is singing! Singing is one of the two chief ways in which God’s Word dwells in us richly. And, as we observed in the last point, singing is a command. But this command comes with a promise: As we sing psalms, hymns, and spiritual songs together, we are promised that the Word of Christ will dwell in us richly, which is what we should crave as believers! 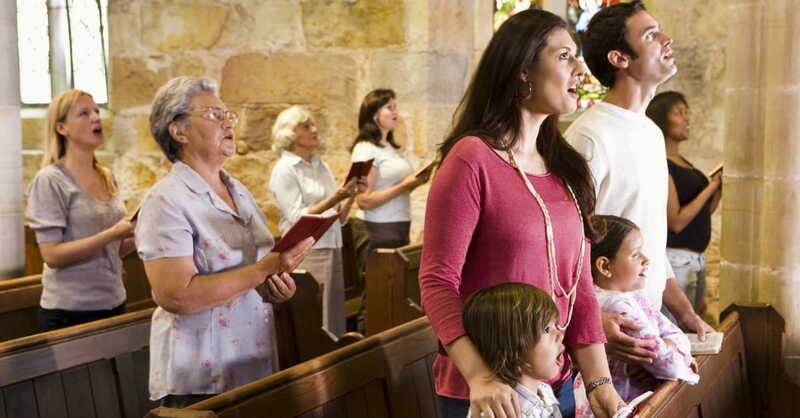 Our singing is more than a warm-up for the sermon or a filler in the service. Colossians 3:16 is clearly laying out for us that: Singing stands alongside of preaching as one of the two great ways that God has ordained for his Word to dwell richly in each one of us! C.J. Mahaney calls church singing “Take Home Theology” because the best songs we sing together serve as a 3-minute, easily memorizable, deeply biblical summary of important truths from Scripture. Take for example, “In Christ Alone.” There, in an easily memorizable form, you’ve got a thorough theology of the cross of Jesus Christ with clear and practical applications that you can use for your life this week! 3. When you sing, you build up others. We see the same thing in Colossians 3:13-16: the exhortation to sing comes on the heels of bearing with one another (v. 13a), forgiving one another (v. 13b), putting on love (v. 14), being at peace as one united body of Christ (v. 15), and teaching God’s Word to one another (v. 16). When we do what the Bible says and sing together as a church family, we are hearing confessions of faith all around! We are hearing hundreds join with us and sing, “In Christ alone, my hope is found!” We are hearing hundreds of testimonies of faith all around us! Think of the impact on someone who doesn’t know Christ to hear those hundreds of testimonies, those hundreds of confessions of faith as we sing together! This is why Pastor Tim Keller says in his book Worship by the Book: “Good corporate worship will naturally be evangelistic” (219). 4. When you sing, you make war. Chances are you didn’t connect singing and warfare together, but it’s a theme visible in Scripture. In Colossians 3, Paul is challenging the Colossians to literally put sin to death in their lives, to kill sin. So all the commands to love and peace and forgiveness and teaching and singing are attitudes and habits of the believer that will kill sin! We see the same thing in Ephesians 5, the command to address one another in song comes right on the heels of “[make] the best use of the time, because the days are evil” (Ephesians 5:16). And the more you think about this, it makes total sense: What posture must be more hated by the evil one than the posture of a believer who is singing? I can’t think of many stances you can take that identifies you with Christ and against Satan more than eyes, heart, mind, and voice lifted to heaven in song! It’s very hard to lie, be greedy or to look at something inappropriate when, you’re “singing and making melody to the Lord with your heart” (Ephesians 5:19). Simply, a heart that’s doing that will not easily give in to temptation. A singing heart is a heart at war with the work of the evil one and the power of sin. 5. When you sing, you are spiritually strengthened for trial. Our persecuted brothers are showing us the truth we see in Acts 16 with Paul and Silas. Singing strengthens you and helps you persevere in the face of trial. If it can strengthen them in the face of these trials, what can it do for you? 6. When you sing, you walk a God-designed pathway to joy. As you study Scripture on this point, you’ll notice that sometimes singing gives birth to joy and sometimes joy gives birth to singing. But persistently in Scripture, joy, and singing are bound together. You can’t study one of those two biblical themes without encountering the other. If you struggle for joy…sing! If you are joyful…sing! In God’s perfect design and understanding of the human condition, he has bound joy and singing together for his people. 7. When you sing, you glorify God. True obedience, deep roots in the Word, building up others, making war against Satan and sin, persevering, finding joy in God: All these things bring glory to God, which is each person’s chief goal and purpose. Colossians 3 and Ephesians 5 bring this out simply but powerfully, telling us to sing “to God” and “to the Lord” because he is the object of our praise. Ephesians 5:19 says, “singing and making melody to the Lord with your heart.” It is to him and about him that we sing! Singing has such a unique way of bringing your heart, soul, mind, and strength together to focus entirely and completely on God. In an age of distraction, singing grabs the attention of all our senses and focuses us on God. On that day, will you be one of the great multitude that no one can number, singing the song of the Lamb, singing his praises? I hope you’ll be there, singing the song of our Savior, Jesus Christ. Tom Olson (@tommyo) is the Campus Pastor at The Orchard Evangelical Free Church (@theorchardefc) in Barrington, Illinois.